Over 80% of all patients that have acid reflux experience a recurrent form of this condition that they can control with certain medications. This form is recurrent but is rarely progressive. This makes the diagnosis of the remaining 20% of patients a bit complex and extremely important since these people can develop even severe complications like Barrett esophagus or strictures. For those prone to such complications, doctors may recommend an early-stage surgery that will help them prevent and avoid the serious consequences of acid reflux. There are a few answers to the question many people ask: ‘how to cure acid reflux?’. There are several lifestyle modifications one could opt if they want to treat acid reflux. Many people choose to take over-the-counter treatment for acid reflux without being properly or formally diagnosed by the most common ways of diagnosing acid reflux. Even though this can initially resolve the person’s symptoms, the symptoms of acid reflux will almost always recur after they stop taking the medication. This is because medications can help manage the symptoms of acid reflux, but are not a cure for acid reflux. A proper acid reflux treatment includes a change in lifestyle, more specifically a diet. Furthermore, it requires certain medications or in some cases, surgery. However, we will discuss the medical approaches later on. 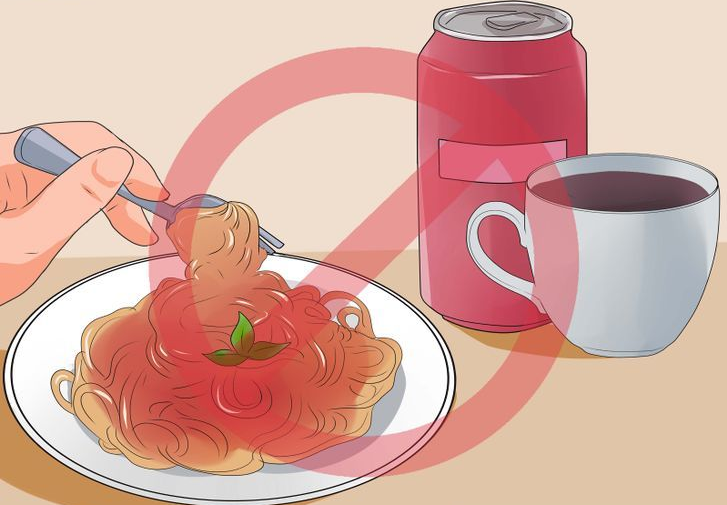 When it comes to an acid reflux diet, there are many people who can successfully manage their symptoms of acid reflux by only using lifestyle and diet changes as a treatment. In many cases, acid reflux occurs within 2 hours of having a meal, especially if the meal is large or contains spicy of high-fat foods. Some people may try to lay down after consuming a large meal or when they start experiencing heartburn or other symptoms. However, this can actually make symptoms worse because the acidic contents of the stomach no longer have gravity to help prevent them from entering the esophagus. Additionally, people may experience harsh acid reflux symptoms late at night or while sleeping. For this reason, people with acid reflux should avoid eating late at night. Instead, consume your last full meal at least 3 hours before bedtime. Eating small, frequent meals and snacks throughout the day rather than large meals can also help prevent or eliminate acid reflux symptoms. So, which foods are good for you to eat and which foods should you avoid? Aside from a special diet, there are many natural remedies for acid reflux symptoms you can try out. A quarter of all acid reflux patients can take a recommended dosage of a certain medicine and treat this condition. In many cases, the individual will not respons solely to medication or diet, and should use a combination of the two to manage symptoms. Medications are used to relieve the symptoms that are caused by acid reflux or prevent the causes of the acid reflux in the first place. There are currently a number of highly effective medications that can relieve and prevent the symptoms of acid reflux. Simple antacids are used when people have mild heartburn or pain. By consuming this medicine, a patient can immediately neutralize the acid in the stomach. However, while this medication acts fast, it also wears off after a short period of time. In cases where the patient is having more severe symptoms, they may need more than one dose of these medications to manage symptoms. The most common types of simple antacids are magnesium or calcium hydroxide, triscilicate or carbonate, aluminum hydroxide and sodium bicarbonate. There are combination medications that can result in longer and better management of symptoms. The most widely known such brands are Tums Maalox, Mucogel and Rennies. They are all based on these ingredients. If a person is suffering from more severe acid reflux symptoms, they may have better success with symptom management by choosing an enhanced antacid instead of a simple one. The alginates in these antacids create a barrier layer that remains on top of all contents in the stomach. As discussed previously, in the case of acid reflux, the content backs up into the esophagus or the throat. However, the alginate in these medications comes into contact with the lining in the esophagus first, sticks to it and protects it from the acids that may come in contact afterwards. The benefits from these medications are not long lasting either. The duration is approximately half an hour. Such medications include Gastrocote and Gaviscon and can be found in both tablet and liquid form. Aside from these drugs, there are more powerful options that can result in prolonged relief. Such medications include low doses of H2RA or H2 receptor antagonists and proton pump inhibitors. They can both be used in combinations with alginates and are even mixed in some over-the-counter medications. There are a small number of acid reflux patients who do not respond well or do not respond at all to the medications. In addition, there are those who may choose to avoid taking medications long-term. For these people, there is another medical solution, which is an anti-reflux surgery. However, doctors will typically not recommend this option unless all other options have failed. Doctors will recommend that people try the non-intrusive treatments that have proven to be beneficial for acid reflux patients prior to having surgery. The treatment of acid reflux is greatly improved in the last 20 years. Right now, the majority of acid reflux or GERD patients are living normal lives, free of acid reflux symptoms.